Tangguh - adapting to the West Papuan context? It has been two years since Down to Earth's last detailed report on BP's huge Tangguh gas project in Bintuni Bay, West Papua. Surprisingly little has changed. From BP's point of view much has changed at Tangguh - the project is now well into its construction phase (70% complete as of March 2007) and is due to go 'onstream' in 2008. However, the same issues, the same concerns, the same doubts keep surfacing. 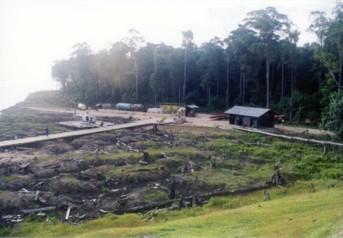 How can this mega-project possibly fit into the realities of West Papuan life?